The recent riots in Baltimore weren’t ignited by a single incident (Freddie Gray), they were the result of long-term injustice, poverty, crime and hopelessness in a city that has gaping disparities between the haves and have nots. Unfortunately, as America’s gap between the rich and poor continues to grow, more people will find themselves struggling to “make it” in society. Americans once enjoyed some of the best civil liberties, education and health care systems, and social and professional opportunities in the world. But slowly and effectively, our system has been in decline, eroded from within. The economy, deteriorating infrastructures, corruption, discrimination, failing education and health care systems…only a few of the problems Americans face every day. Meanwhile, our politicians seem to be pursuing policies that are not in alignment with the public’s interests or needs. They spend more of their time fundraising than legislating. Thanks to Citizens United, America has “morphed into a plutocracy where the interests of Wall Street hold sway over the voting electorate” (Glen Olives Thompson, “Corruption: U.S. Can Learn from Mexico,” Mexico News Daily). In essence, “political corruption in the U.S. has been officially sanctioned,” and the power of the vote is being eroded by big money. We need to get back to basics. America’s strength has always been community based. We need to re-invest in our communities, and we need to hold politicians and corporations accountable and get the big monies out of politics. Join Barb and John as they discuss how the approaches of politicians playing divide and conquer, blaming others, and refusing to discuss the real problems facing Americans are leading to the breakdown of our society, violence, corruption, and the loss of the American dream. CALL 800-259-5791 TO JOIN THE DISCUSSION. Joining Amerika Now during the second hour is best-selling author and Editor of Leadership & Business at The Good Men Project, Dale Thomas Vaughn. Dale will be discussing his recent TED talk on How Great Men Think Alike. What does it mean to be a man in today’s world, and what are the most common issues men face these days? For the past 15 years, Dale has been on the front lines of the crisis of masculinity and witness to the triumphs of great men who transcend the crisis. Dale will talk about this restrictive message as well as three breakthrough tools great men master: Introspect, Respect, and Connect. Imagine a world full of great men! Great men have the same fears as all men: the fear of otherness, the fear of duality, of being lost or powerless or broken or unsafe or invaded or alone in this world. We all have those fears; but today you can choose to overcome your numbness. You can choose connection, and Dale hopes you will choose your own greatness. 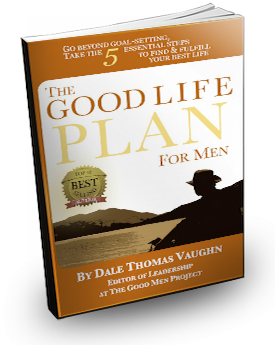 Best-selling author of The Good Life Plan for Men, Dale Thomas Vaughn works through the EmpowerMentorship Institute with highly dedicated men who want to clarify what they want from their lives, make a plan, and then go do it. Dale is the Editor of Leadership & Business at The Good Men Project, a site about men that regularly reaches unique traffic levels that rival Oprah.com and Politico.com. His award-winning work with men and at-risk boys has led to the foundation of the Global Center for Healthy Masculinities, where his writing and workshops have focused on men’s groups, leadership and mentorship, and sexual violence prevention. As seen on CNN, CBS, Huffington Post, TimeOut LA, the Art of Charm, the Man School Podcast and in the LA Weekly, Dale’s work has received multiple Best of LA awards, the M Award for service and leadership from his alma mater SMU, and millions of visits on The Good Men Project. Dale is also a Renaissance Man. He has trekked more than 1,000 miles, including a 500-mile pilgrimage through Spain, the Inca Trail in Peru, and the West Highland Way in Scotland. He has run with the bulls in Pamplona, written speeches in the House of Commons of the United Kingdom, played at the highest level of international competitive dodgeball, and become a Certified Specialist of Wine. 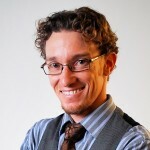 For more information, visit http://dalethomasvaughn.com/. 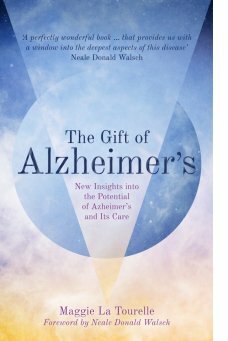 Author and holistic healthcare practitioner Maggie LaTourelle joins the show during the final hour to discuss her book, The Gift of Alzheimer’s: New Insights Into the Potential of Alzheimer’s and Its Care. Here in the U.S., there are more than five (5) million people affected by Alzheimer’s Disease. Every 67 seconds, someone new develops the disease. Alzheimer’s kills more people than breast and prostate cancers combined, and it’s the only leading cause of death that cannot be prevented, slowed or stopped. Unfortunately, everyone with a brain is at risk. The Gift of Alzheimer’s is a practical guide that brings knowledge and understanding about Alzheimer’s to families, caregivers, health care professionals and educators. It covers a wide range of subjects and draws on Maggie’s own personal experience, recent research in neuroscience, information from medical and non-medical sources and Alzheimer’s organizations. Facts About Alzheimer’s: What is Alzheimer’s? Symptoms and stages of Alzheimer’s. Core Care Conditions: Wellbeing, connecting, presence, compassion and love, trusted companion and validation. Communication: Meaningful Communication, non-verbal communication, empathy, emotional contagion, touch, verbal communication, directness, thoughts and memory and subtle energy. Memory and Emotions: Memory, emotional Memory, changing emotional landscape and healing the past. The Brain: Repetition, fixating, oblivious to errors, mis-perception of time, mis-perception of age and intermittent disruption. Altered States of Consciousness: Lucidity and Other Worlds. Other Core Care Provision: Creative activities, outings, exercises, hydration, treatment and remedies. Caring for Yourself, and Guided Visualization Exercises. It is our emotions, our feelings, that give meaning to our lives and this is no different for people with Alzheimer’s. Although their physical bodies and parts of their brain are deteriorating their emotions live on. This means people with Alzheimer’s can stay connected to people and the world through feelings, right to the end of their lives. 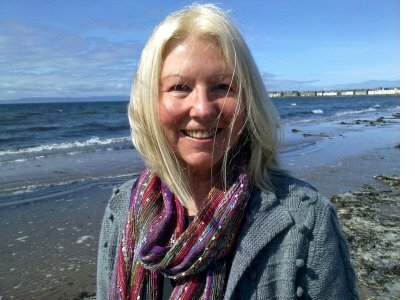 Maggie LaTourelle has worked in the field of holistic healthcare for 30 years as a practitioner, teacher and writer. She has written and contributed to a number of books and articles and has lectured at some of the UK’s leading universities. Her book, Principles of Kinesiology, continues to be a worldwide classic. For more information, visit http://thegiftofalzheimers.com.